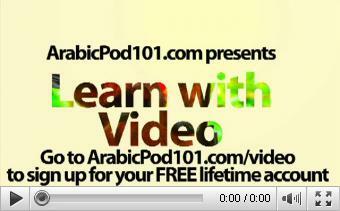 With these videos, you'll learn Arabic vocabulary through fun and exciting videos! You'll hear a word and a sentence that uses that word, all while watching a video to go along with it. Learning Arabic Vocabulary for Common Animals Is a Walk in the Park! Learning Arabic Vocabulary for Farm Animals Has Never Been More Fun! ArabicPod101.com Will Help Keep You Afloat with Arabic Marine Life Vocabulary! Arabic Vocabulary for Insects Doesn't Have to Bug You Any Longer! 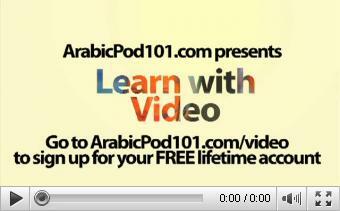 You Don't Have to Go on Safari to Pick-up the Arabic Vocabulary to Talk About it! This Arabic Lesson Is NOT Just for the Birds!! This Arabic Lesson Proves That Curiosity Doesn't Always Kill the Cat! 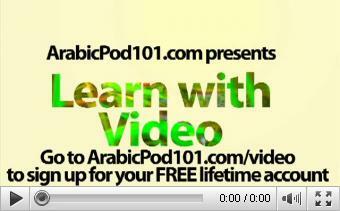 If This Arabic Video Lesson Makes You Feel Froggy, Then JUMP! You Don't Have to Go 'Down Under' to Experience the Great Outback with ArabicPod101.com! 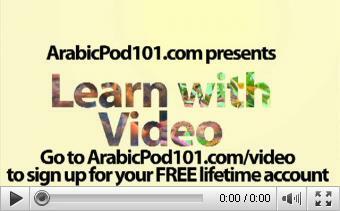 Oh, What a Tangled Web We Weave, When We Teach Arabic Insect Vocabulary! 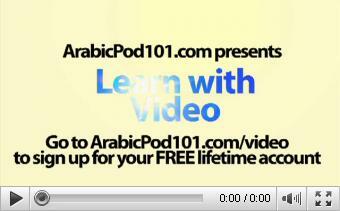 ArabicPod101.com Is Not Your Ordinary Wolf in Sheep's Clothing!! It's a Jungle Out There: Let ArabicPod101.com Show You an Easier Way! 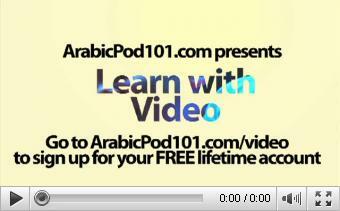 Birds of a Feather Flock Together at ArabicPod101.com! 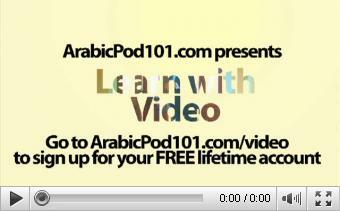 Have a Whale of a Time with ArabicPod101.com!! 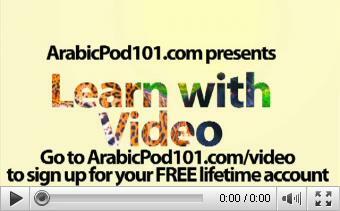 Bear Through This Arabic Video Lesson and Learn Awesome Forest Animal Vocabulary! All the Joy of Learning Arabic Begins Right Here! Would Your Arabic Skills Help You Out of This Situation?! 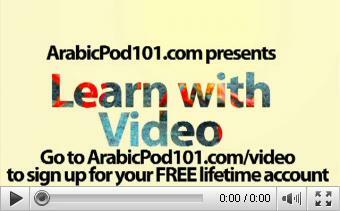 What Will Your Arabic Skills Bring to the Table?? Have Your Arabic Skills Been Declared a Natural Disaster?! The Best Way to Break the Ice in Arabic! 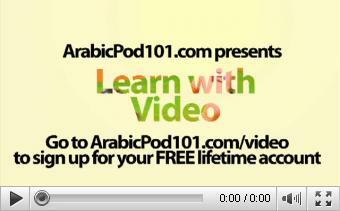 Did You Know Learning Arabic is Considered a Sport…Sometimes? It's Not Whether You Win or Lose, it's How Your Arabic Helped! What's in Your Daily Cycle of Arabic? 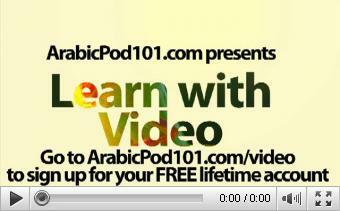 Working With Your Arabic Skills! Learn the Best Way to Spend Your Day with This Arabic Video Lesson!